SB 2 would require an election when local governments want to collect an additional 2.5 percent or more in tax revenues from existing properties, regardless of the total taxable values assigned to properties. The cap limits the amount of total revenue a local government can rake in without voter approval, even if its tax rate is not increased. But that election trigger does not apply to new developments, so local governments could still see their revenues increase on top of the growth SB 2 would allow without voter approval. Still, lawmakers of both parties and each chamber — including Bettencourt — admit the 2.5 percent election trigger could be raised as the bill works through the process. In an interview after Monday's vote, Bettencourt stopped short of saying he's adamant about the threshold staying at that point. But he said that 6 percent, where the House left the trigger in 2017's last impasse, is too high to help Texans slow property tax growth. "Clearly, the lower it is, the better," he said Monday. "I'm confident I'm going to do my usual job of working the floor," he said. 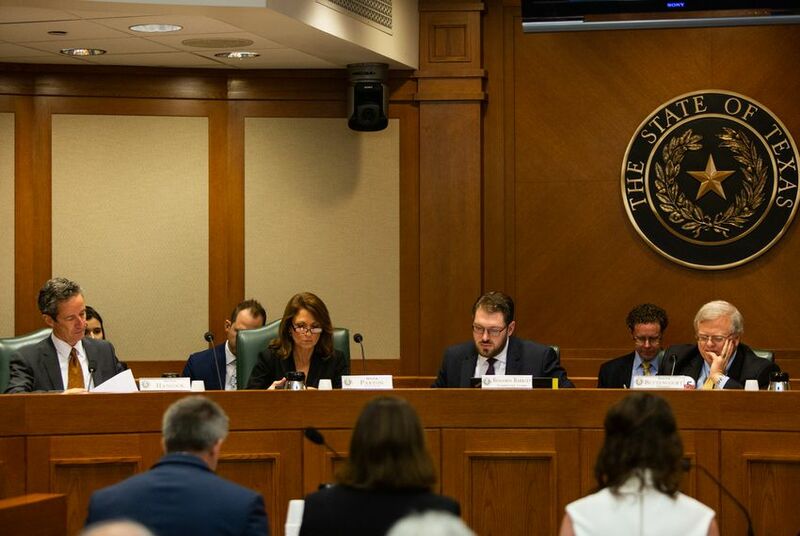 A fiscal note from the Legislative Budget Board estimates that the 2.5 percent threshold would cause cities, counties and special districts across Texas to forgo billions in potential revenue in coming years — but that forecast assumes that no rollback elections would be approved by voters. It also relies on property tax estimates "extrapolated in line with the outlook for growth" in appraised property values. But Bettencourt and other committee members interrupted her and other local officials throughout the meeting. At one point, Bettencourt said he wouldn’t allow officials to spread “misinformation” at a public hearing. On Monday, he said one of the adopted committee amendments would prohibit local governments from reducing first responders' pay just because legislation with a new tax rate rollback trigger becomes law. "This was the most popular request we got from the public," Bettencourt said. A successful amendment from state Sen. Kelly Hancock, R-North Richland Hills, would change the term "rollback tax rate" to "voter-approved tax rate." He and other senators said that would make the trigger's point more clear to Texans. Burrows, who also chairs the House GOP Caucus, told Hasty that each of the lower chamber's 150 members will “have a seat at the table” when debate on the legislation begins on that side of the Capitol. It's not yet clear if a 2.5-percent cap would have enough support in the House to pass, Zerwas said, but "we’re starting from the same place," he said, adding that "the Senate, the House and the governor are going to hear the same arguments."